WE OFFER EYEBROW THREADING & EYELASH EXTENSIONS!! 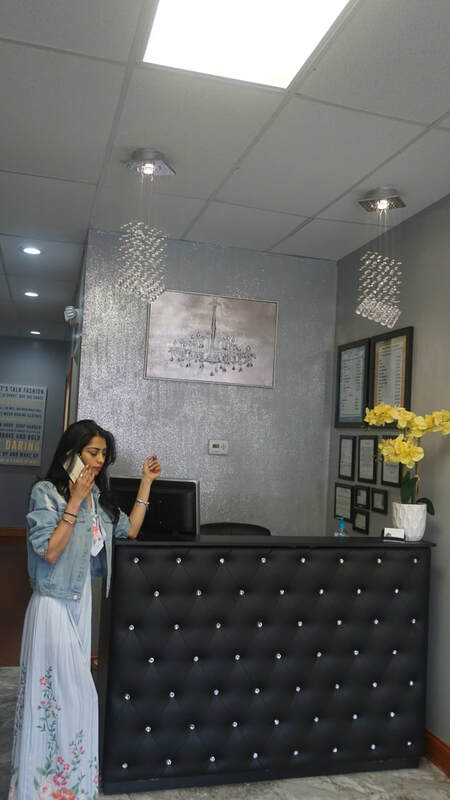 "KIDS 'N ADULTS HAIR SALON" also known as "All about kids and teens salon" owned and operated by Barkha Vyas, along with her talented team of hair stylist who have over 12 years of experience in doing hair. The salon has been in Clark for over 10 years. Our goal is to get create a fun & loving environment for the children. We have DVD's, video games, books, toys, & more so kids and teens can enjoy while getting the latest hairstyles! Kids 'N Adults salon provides full salon service to adults, kids, & teens. Adults can get their hair services done while kids enjoy video games and watch movies. We're located in the Clark Village Mall, so contact us today and make your children's hair service memorable & fun. *WE ARE LOCATED IN CLARK VILLAGE PLAZA. WHERE CLARK BEGAL, PHILIPO'S, & BISTRO 1051 IS. *WALK-IN'S ARE WELCOME BUT NOT GUARANTEED. *WE REQUEST TO MAKE AN APPOINTMENT. *WE DO GET BOOKED QUICKLY AFTER SCHOOL, SATURDAYS, HOLIDAYS, BACK TO SCHOOL TIME.